Come to Bob Hoch’s Home Furnishings if you’re looking for a one-stop-shop for all your home furnishingneeds. Our locally owned furniture store has been operating from the same location since 1958. With such a firm foundation in the community, it’s no wonder we’re known as the most reliable home furniture store in Lebanon, PA. When you get a chance, come and visit our furniture showroom so you can witness ourgreat furniture selection and customer service firsthand. At our home furnishings store, we want to make sure all our customers get access to a wide array of quality furniture that will not exceed their budget. 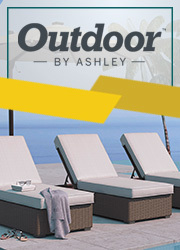 We offer low prices every day on top furniture brands such as Ashley, Millenium, Catnapper and more. In addition to our great prices, we also offer great furniture financing options to suit your budgetary needs. You can take home your furniture today with as little as $40 down! In terms of our fantastic furniture selection, we have everything to keep your home stylishly furnished for years to come. Furnish your living room with a luxurious reclining sofa or a sleek and functional futon. Create a comfy sleep space with one of our lovely discounted bedroom sets. Also, you and your family can sit down and enjoy family dinners on one of our spacious dining room tables or dinette sets. While you always have the option of shopping with us online, we highly recommend that you take some time to visit us at our Lebanon, PA furniture showroom. When you shop with us in-person you get the opportunity to see our home furnishing pieces up close and personal and you also get access to our wonderful customer service staff. 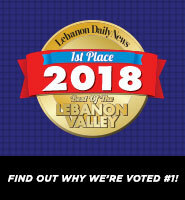 We are proud to provide home furnishings, not just to customers inLebanon, PA but also to those in Fredericksburg, Jonestown, Annville, and beyond! If we have our way, we will make sure that everyone in the area receives the home furnishings they want at a price they can afford.